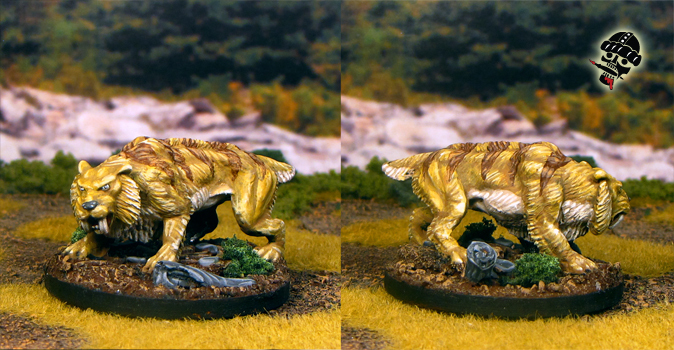 I had a look around at a few different examples of the saber-toothed tiger paint schemes, and decided to go with a cross between a North-American Couger and a Tiger. I guess the saber tooth wasn't really all that much like either of them, but it was a North-American cat... So yeah, a Couger with wide brown stripes!